THE SKINNY: Every time I use a Living Proof product, I expect my hair to look like Jennifer Aniston's. Every time I end up disappointed. But that's not to say I wasn't pretty happy with Living Proof Perfect Hair Day Styling Treatment. It actually works pretty well on my shoulder-length+ hair. Used just on the ends, it smoothed and eliminated a lot of fly-aways. This stuff does seem a little thick to use anywhere else and I'm not sure how it would feel on short hair. You use a little (a very little) on damp hair before styling. I still had to use a finishing product to get rid of winter static and get some final hold. 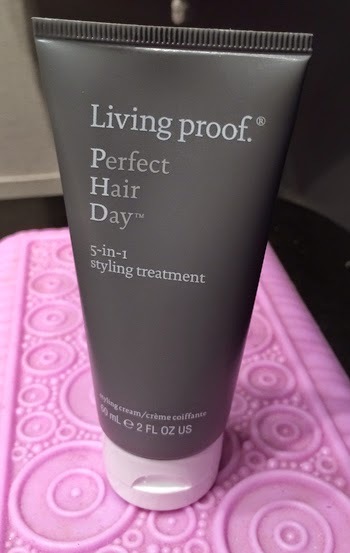 CHECK IT OUT: The Living Proof PHD line also includes shampoo and conditioner.